Toilet facilities along corridor – Male/Female/Disabled/Child Changing. Capacity 160/200 dependent on use, with full sound and lighting system, drop down projector screen and hearing loop. The kitchen has now been extended into a galley-style and modernised, with the provision of a plumbed water heater, thus negating the use of electric kettles, an industrial dishwasher and a large fridge. There is a ventilation fan above the 2 hobs/ovens. Cupboard space has increased and the floor and all walls have been tiled. There is a serving hatch to the Edna Rose room and the Hall, with an entrance door from the foyer area and the Edna Rose room. 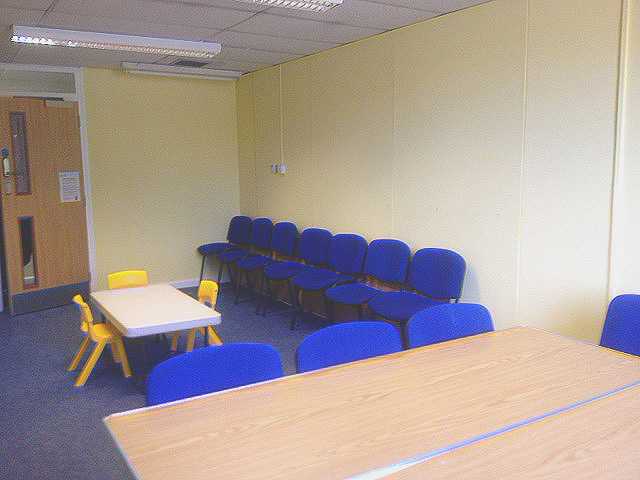 This room will seat approximately maximum of 20 people. There is the ability to use a screen and projector. 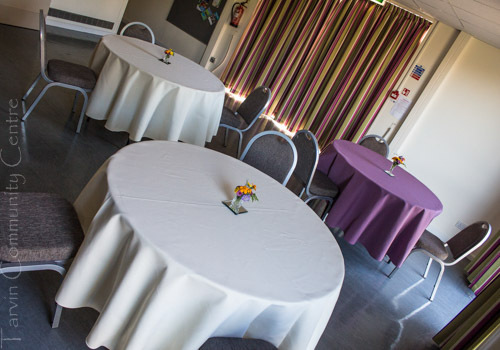 Ideal for small meetings or social/special interest groups. 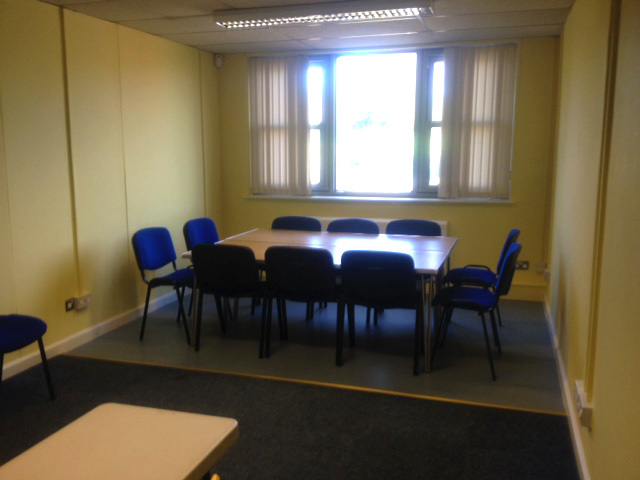 The room would make an ideal small therapy room, for either physical practitioners or for the talking therapies. The room is quiet and discrete. This is accessed either externally, or from the side of the Hall where there are folding doors to create an open access. This area can also be hired independently as it has adjustable ambient lighting, a fridge, kettle, sink, glass washer. There is also a separate entrance and disabled toilet.